When time is at a premium, having an easy hors d’oeuvre or two at the ready is essential. These ideas use items purchased at a favorite deli or market to make tasty snacks that require only a bit of measuring and mixing, no cooking. When selecting pre-made items at the market, look for those that have low or no added sugar, are free of any food allergens that require your attention, as well as have the least number of additives. 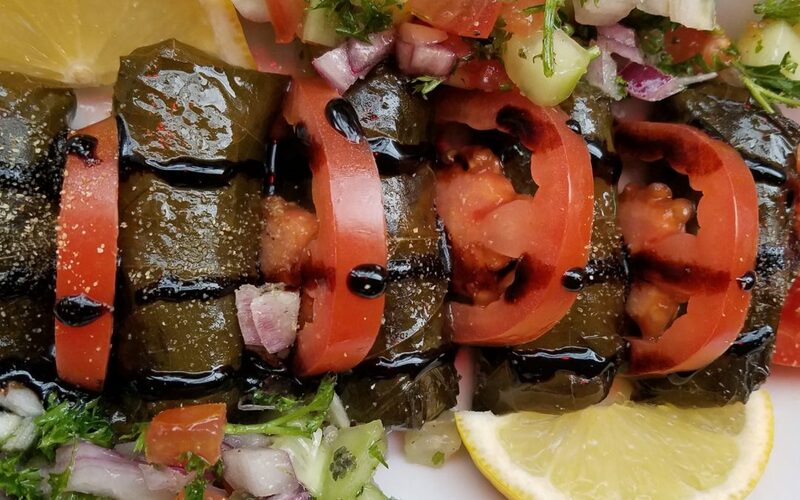 Purchase pre-made dolmades (stuffed grape leaves) from the deli or market. Keep refrigerated until ready to use. Prepare cucumber-dill sauce and refrigerate for at least 1 hour until. Arrange dolmades on serving platter and serve alongside the cucumber-dill sauce. 1/8 teaspoon ground black pepperIn a medium bowl, combine all of the ingredients and mix well. Taste, adjust seasonings if necessary. Refrigerate until ready to serve. For Salmon Rolls: spread a layer of Boursin Cheese on a slice of smoked salmon, roll and secure with a toothpick. To serve on a cracker or cocktail bread: spread a layer of Boursin Cheese on cracker or cocktail bread, top with a slice of smoked salmon, garnish with a sprinkling of chopped herbs. Purchase prepared crab salad from deli or market, along with fresh endive leaves. Carefully separate, wash and thoroughly dry the endive leaves. Stuff each leave with 1 – 1 ½ tablespoons of crab salad and arrange on a serving platter. Garnish with freshly chopped herbs and lemon slices. Purchase pre-made tortellini from the market, cook as directed, and cool. String 1 – 2 tortellini on to mini-skewers and store in a covered container until ready to serve. Prepare aioli and refrigerate until ready to use. Arrange skewers on serving platter and serve with aioli. ¼ – ½ teaspoon red pepper flakes (optional)1. Place the egg, olive oil, mustard and salt into the bowl of a food processor or blender. Process until smooth and well combined. Remove cover, scrape down the sides of the bowl, and replace the cover. 2. Remove the small cup or piece that seals the hole in the center of the cover. With the food processor or blender running, very slowly drizzle the avocado oil into the mixture through that small opening in the cover. The mixture will begin to emulsify and thicken as the oil is slowly added. Continue processing until all oil is added, plus about 10 seconds more. 3. Add the lemon juice and process an additional 10 seconds. The mixture should be fully emulsified. It will continue to thicken as it is chilled in the refrigerator. 5. Transfer aioli to a sealed container and refrigerate for at least 1 hour to allow flavors to blend. Refrigerated aioli will last approximately 1 week. Stuff individual dates with any desired soft cheese (goat, blue, cream, feta, other). Top with a pecan half or wrap with a strip of thinly sliced prosciutto. Arrange on a serving platter and drizzle with a good quality, thick balsamic vinegar.